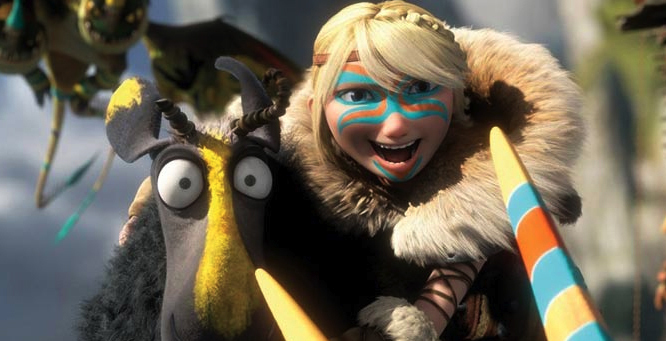 Film Review: ‘How To Train Your Dragon 2’!! A few years ago I went to watch ‘How to train your Dragon‘ in the theaters and was pleasantly surprised by what a great film it was. It was different than most of the stories being told on the big screen at the time. This story revolved more around not fitting in and finding your voice against popular opinion. Even now I put it on every once in a while, and it always puts a smile on my face. When I heard that there was a sequel, I had mixed emotions about it. Sequels tend to be just a bigger, blown out version of the original film. When I got the chance to check it out I was curious how it would hold up to the original. However, ‘How to Train Your Dragon 2‘ did not disappoint! This sequel opens 5 years after the village of Berk has adopted dragons into their daily lives. Hiccup (Jay Baruchel) and Toothless are out exploring and creating maps of their surroundings. (Now I saw this in 3-D and I highly recommend you do the same. The flying scenes in the film really pop.) They come across Eret, a dragon trapper, and his crew and learn of other “dragon riders”. They soon discover an ice cave with many new dragons. Eret is capturing dragons for Drago Bludvist who is creating a dragon army. 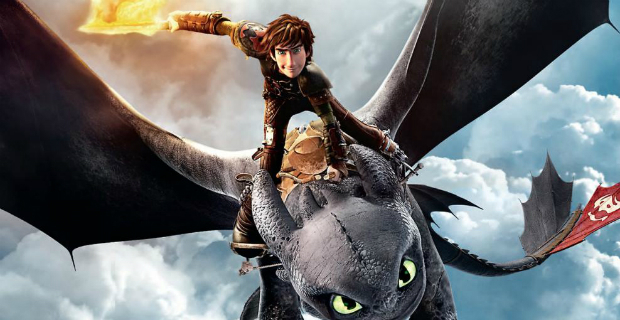 Hiccup meets the dragon rider and gets a better understanding of dragons and their hierarchy. 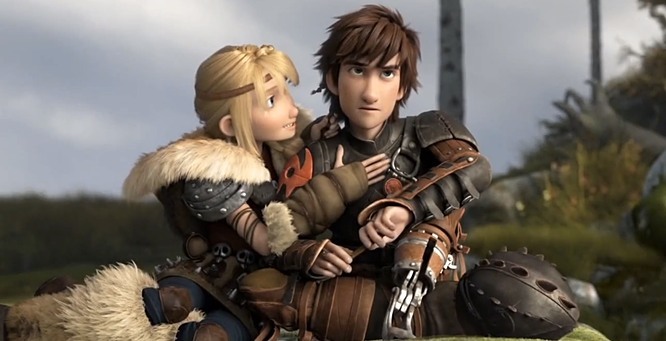 Hiccup’s friends have all grown up as well and there is a love triangle between Ruffnut (Kristen Wiig), and the Viking guys Fishlegs (Christopher Mintz-Plasse) and Snoutlout (Jonah Hill); adding to that Ruffnut has a girly crush on Eret and it’s hilarious. There are many facets to some of the main characters which are explored with some of their history that we see throughout the film and it all starts to fit together. ‘How To Train Your Dragon 2‘ is exciting and highly entertaining the whole way through. It’s very well written and fully realized on an epic scale. It takes a little darker turn than the original, but the characters are older, so it makes sense in dealing with more adult situations. Writers Dean DeBlois and Cressida Cowell mixed the comedic and dramatic aspects very well throughout, and made it fun for all ages. ‘How To Train Your Dragon 2‘ lives up to the expectations of the original, but also does well as a standalone film. It’s visually stimulating for young kids and has complex emotional growth for adults. I definitely recommend this film for all ages. This entry was posted on Thursday, June 12th, 2014 at 10:01 am	and is filed under Film, News. You can follow any responses to this entry through the RSS 2.0 feed. You can skip to the end and leave a response. Pinging is currently not allowed. « Film Review: ‘The Grand Seduction’! !